Visual merchandisers also referred to as retail designers are always said to be the make-up men of retail stores. Retail designers are responsible for designing and dressing up the retail stores to woo the customers. They also take care of the display, arrangement of clothes, accessories in the display window, and on the mannequins and etc. With increasing competition in retail industry, retailers are adopting new retail strategies every day to attract maximum consumers to their outlets. Changing the look and display of the retail stores with changing seasons and as per the latest upcoming events is increasingly adapted by the retailers these days. 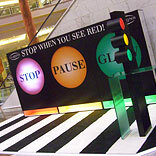 Therefore, retail designers put up different displays for each occasion to keep the stores’ look refreshing and appealing. Retail designing is coming up as a lucrative career opportunity for people with a creative bent of mind. According to the Bureau of Labor Statistics, the mean hourly wage of a retail designer is approximately Rs 700 per hour. Retail designers charge a large sum of money, and the bill amounts can go up to thousands of dollars per year. If you have the art of time management, ability to manage personnel and designing skills, knowledge regarding retail, marketing, and enthusiasm to do something new and innovative every time, then the career of a retail designer or visual merchandiser is most suitable to you. Setting up and carrying out: A retail designer is responsible for everything right from planning to execution of their retail design. Getting idea approved: Getting the idea approved and then putting it up for display in the given time. All materials required for display have to be chosen well in advance along with the theme that can revolve around the new collection or the new season, a particular sport, or any upcoming event. To create designs 3D: The job of a retail designer, is to create designs 3D in the store for attracting the attention of the consumer, who is practically wooed by the visual appeal of the window. Orderly arrangement: The visual merchandiser should see to it that the mannequins, clothing materials, accessories and props are orderly arranged for maintaining the look of the store. The displays are not restricted to the display windows alone. They can be put up in any other part of the store premises too. However, there is no specific skill required for being a retail designer, but it does vary from organisation to organisation. However, having the requisite qualification gives an edge over other candidates. The basic requirement is a high school diploma or its equivalent. Big business houses sometimes prefer having degrees on fashion merchandising. Associate degrees are also mandatory for certain businesses. Nevertheless, a graduate degree in interior or fashion designing is the minimum qualification that you need to have. Some of these needs can be met by undertaking a learning programme, apart from inherent qualities like to visualize, create, and the ability to be application-oriented. There is an increasing demand for retail designers in various fields. It may include designing and managing public places like malls, departmental stores, clothing stores, bookstores, electronic markets etc, salons, spas, travel agencies, health, and rejuvenation centres that hire retail designers for promoting their sales. Prospective employment areas: The areas of employment vary from departmental stores, public relations and related services, clothing stores, grocery and related products, travel and reservation, drugs, healthcare and personal care stores etc. Thus, all you young graduates with creative mind prepare yourself to be a part of this fascinating field for better career opportunity.